The Retail Center is comprised of several career sites that are open to the public. 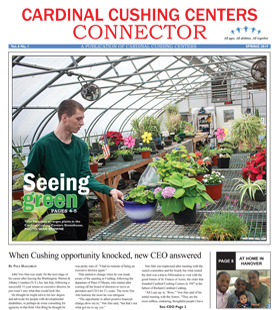 The Center includes the Bass Café, Recycling Center, Greenhouse (Cushing Greenery), Cushing Trader, Thrift Store (Timeless Treasures) and the Sister’s Inn. These sites operate as businesses as well as working classrooms. The Bass Café is a popular spot for coffee, soda, pastries, soup, salads and sandwiches. Students wait on customers taking orders and serving. They use the cash register, take orders over the phone and make deliveries on campus. Students also learn to follow recipes, measure and mix the ingredients, and operate the mixer and the ovens. They keep the inventory and help order supplies as well. The Horticulture Program (Cushing Greenery) In the Greenhouse, students wait on customers and sell seasonal plants and flowers. They make quality craft items, candles, soap, candies and dried flower arrangements, which are sold in the shop. Students enjoy planting seeds and seedlings, watering, and taking care of the plants. Many students enjoy physical labor (e.g., preparing the garden, harvesting the crops, and being outside). The Cushing Trader is a site in which student art is made, displayed and sold. The site is split into two major areas: the store and the work area. 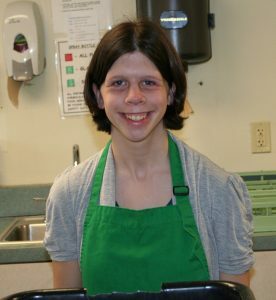 In the store, the students learn to work in a retail site: they assist customers, use the cash register, stock shelves, price items, clean and keep inventory. In the work area, students attend daily classes to learn how to make various types of functional art: pottery, painting furniture, art work, silk screening, weaving, jewelry making and various other projects. The site also has a working kiln in order to fire any ceramic items made by the students. The Thrift Store (Timeless Treasures) accepts donations, and students help with sorting merchandise, hanging clothes, and placing them on the correct rack. They stock and clean shelves, arrange books and displays, and assist customers when asked. There are routine maintenance tasks to complete. The Recycling Center is where students learn to recycle cans, bottles and paper. Students wait on customers, count returns, and calculate the amount due. They operate the cash register, practicing their money skills in a real-life situation. When not attending to customers, students sort containers by size, brand, and distributor and perform routine cleaning tasks. They may be asked to help load or unload trucks and make deliveries. The Sister’s Inn is a small house where students can experience work skills in the hospitality field. Students clean, make beds, do laundry, order food items and attend to guest needs. The Culinary Arts program assists the Food Service Department in preparing and serving meals to staff and students. Some of the jobs include: cleaning and setting up dining rooms, making salads and preparing sandwiches, cooking hot meals, making desserts, portioning and serving meals, bussing trays, and completing all dish room tasks according to sanitary guidelines. Twice each week, Culinary Arts operates the Iron Kettle Inn, a restaurant open to the public. Students set the dining rooms and wait on tables, practicing their social skills as they interact with their customers. The Health Careers students meet each morning dressed in their uniforms and ready to work in four area nursing homes. Students learn to make beds according to the protocol of the facility. As bed-maker trainees, they interact with the nursing home staff and patients and are greeted with enthusiasm as they perform a meaningful service. Other students prefer to work in the laundry where they learn to operate the washers and dryers, fold, sort, and hang laundry, and return fresh linens to the floors.